Once you have located, downloaded and launched the free app you will then be able to either click on the ‘Find my school’ button which uses the phones GPS to locate all the schools in the surrounding 20 miles, or you can type in the school's name or postcode and click on ‘Get my school’ button. You will then see a list of schools that use the app. Click on the school you wish to subscribe to. Allowing push notifications means that you will be able to access information as soon as it is put on the website. 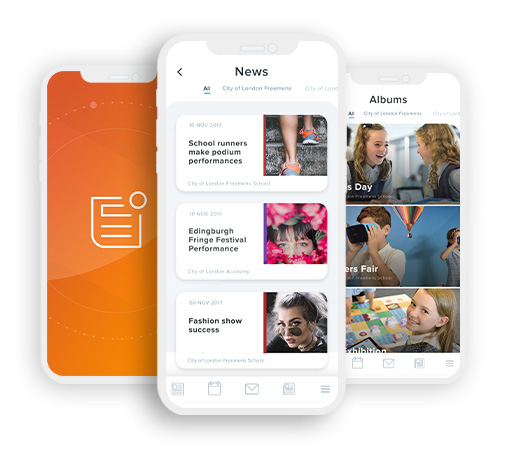 We only send notifications relating to: class visits; latest news; gallery albums; letters sent home to parent/carer or half termly newsletters, as they are added to the website. If you need help downloading the School News App please get in touch with the office or pop in to see us.